Author of the Jezebel Jinx Mystery series. Painted Jezebel was the debut novel and its sequel Poison Pens is nearly complete. Publicist Finn Mackenzie has always been lucky, until an ill-fated affair with a vindictive writer leaves him one chance for redemption: a spectacular public appearance by the elusive best-selling romance author, Jezebel Jinx. Unfortunately, the cute but kooky writer refuses to cooperate. Jezebel believes she’s cursed with bad luck. Riddled with anxieties, she never leaves her home— until the gorgeous, albeit desperate Finn whisks her away to a writer’s conference, against her will. After the initial shock wears off, Jezebel’s dormant hormones kick into high gear around the hunky Finn. 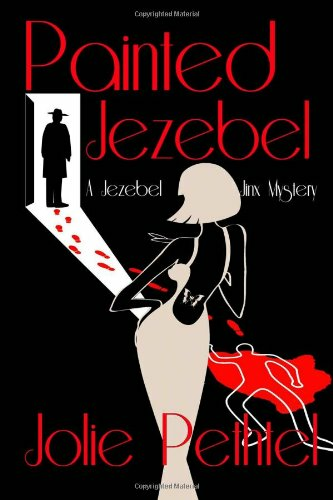 When his ex turns up murdered and Jezebel is the prime suspect, ill-planned sexcapades are the least of their worries. Sometimes it’s really nice to get out of straight-up romance mode. Add some humor and intrigue to a developing relationship, and 9 times out of 10, it’s going to make for an awesome story. Painted Jezebeldefinitely fell into this category. The romance (and the lovin’) were always present, but sometimes seemed to take a backseat to the non-bedroom activities of the characters and the events unfolding around them. 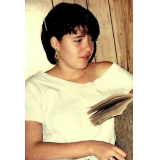 Jezebel Jinx is a romantic suspense writer. She is also severely agoraphobic and hasn’t left her house in two years. The company that publishes Jezebel’s books has decided that she needs to back an appearance at a major conference, so they send super hot, dreamily Irish-accented, publicist in disgrace, Finn Mackenzie to lure Jezebel out of the house. When they get to the conference, things just go downhill. Finn and Jezebel are thrown into the middle of a murder investigation, dealing with Jezebel’s anxieties and fears, and trying to figure out exactly how they feel about each other. Throw in a supporting cast of characters with devious and lively personalities of their own, and you have the perfect romance-mystery-humor novel combination. From the start, the interactions between the equally stubborn Finn and Jezebel are ridiculous. The two characters have such a hilarious chemistry, that I was laughing even during the serious parts of the story. Apparently, this is the first in a series about Jezebel, and I can’t wait to read the second installment. If the characters are as vivid and the story as entertaining, I’ll be a very happy camper.